Another horrible Canadian winter has seemingly passed by. I am not talking about the weather (which has been unseasonably balmy in the Toronto area) but the lack of good concerts to attend in and around Toronto, which seems to occur annually between the months of December to February. With my last concert dating back to Buckcherry‘s (with Last Bullet opening) stop in Toronto on November 24th, there is no need to say that I was chomping at the bit to experience music in a live environment. Truth be told, there have been some good shows that have come along since that time but I have either not been interested in going or (and the more likely reason) unable to attend them because they are often announced merely a few weeks or even a month in advance. This means that the dates often clash with my wife’s work schedule and unfortunately my own child sitting schedule as well. Fortunately, one tour that was announced well in advance was the Spiders‘ first ever tour of North America, which included a tour stop in nearby Buffalo so no need to say that this was a can’t miss date on my calendar ever since that announcement. Not surprisingly, joining me on this road trip to Buffalo, New York was my friend The Meister from “rival” site Decibel Geek (you can read his review here) who is always up for some adventure and a rock concert no matter where it is in the world. 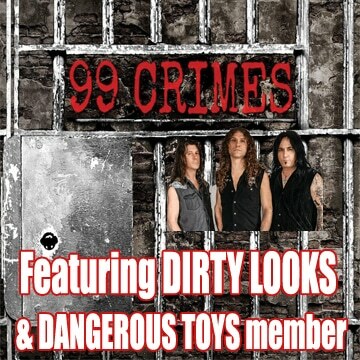 The Meister even traveled to Japan a few months back to go see Canadian sleaze rockers Diemonds‘ first trip to Asia’s rock headquarters. Accordingly, a few hours to get to Buffalo one way would of course not faze The Meister in any way and he was on board despite not being that familiar with the Spiders and not knowing the headliner Graveyard at all. 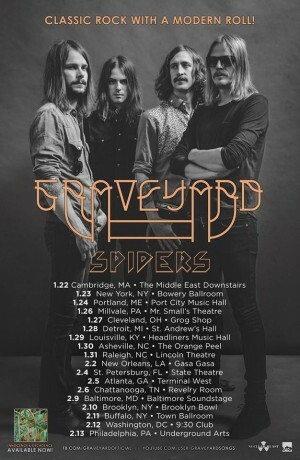 I fell in the same boat for the latter as well having never heard of Graveyard until I interviewed the Spiders a few months back and listened to a few songs of theirs in anticipation of their upcoming tour stop in Buffalo. I owe The Meister two apologies so the first one is for botching the location where I was going to pick him up. I am not sure if anyone can relate but I had a firm location in my mind where I would pick up The Meister on our way to Buffalo but the pick up location that I actually told him was at a different spot and actually caused him some extra travel time and a slight delay in our departure (sorry about that). My wife has been telling me for years that I’m not good with driving directions and I am starting to believe her. Despite the small delay in leaving Toronto at about 4:45 pm, we still had plenty of time to get to Buffalo. With traffic surprisingly light once we got to the other city suburbs surrounding Toronto and the longest “search” that I have ever been subjected to at a USA-Canada border (which consisted of the border man checking my car’s back trunk – no contraband to be found), we were able to make it to downtown Buffalo by 7:20 pm. 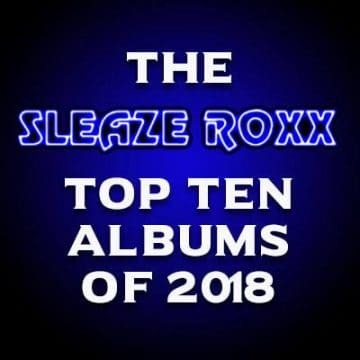 This is where my second apology to The Meister comes into play because I only needed 20 minutes or so with an internet connection to finalize the Sleaze Roxx Readers’ Top 20 Albums of 2015 and I wanted to stick to my word since I had previously announced that it would be posted that day. I am not sure if anyone would have cared if the year’s end list was a day late but in any case, we headed to a nearby Starbucks rather than the venue itself. The Spiders had advertised on Facebook that they would be on at 8:00 pm so I thought we still had plenty of time. By the time we got to the Town Hall venue with at least five to seven minutes to spare, I could hear the Spiders playing and we were told that the Swedish retro ’70s rockers had just started their set and been playing for roughly five minutes. Sorry Meister and shame on me. The Town Hall venue itself was absolutely spectacular. It looked like a round auditorium setting except there were no seats and rather than have the flooring gradually descend towards the stage, the large floor base served as a general admission area and there was one standing area about six feet high surrounding the stage in a semi-circle with another higher standing area about three feet higher doing the same thing, The stage was maybe only one or two feet higher than the general admission standing area on the base floor but due to the set up, it seemed that everyone had a great view of the stage and the band. Throw in that the ceiling seemed to be about thirty feet high and you have an absolutely amazing venue for concerts to be held at. The Spiders were already playing when we arrived to a small but seemingly appreciative crowd. There was something magical and exotic about watching the Spiders play. Guitarist John Hoyles and in particular bassist Olie Griphammar each wore high heel boots making their already six foot plus lanky frames seem that much taller and larger than life. Both of them along with frontwoman Ann-Sofie Hoyles were wearing what looked like out of the box retro ’70s clothing to me, which added to the band’s exoticness. Drummer Ricard Harryson was hard to see from my vantage point but from what I could see, he was just punishing his drum set by giving them a serious pounding. Griphammar also wore silver make-up lines under his eyes and that made me think just how bombastic and spectacular that KISS must have looked in their early days when the shock rockers were playing smaller venues in full make-up and outrageous costumes. 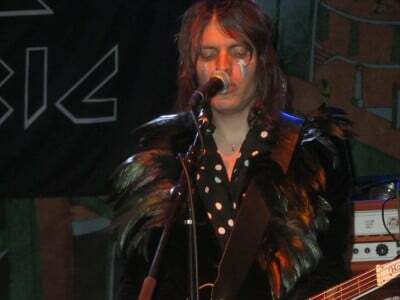 Whatever the case, the Spiders made a formidable impression looks wise and certainly set themselves apart from headliner Graveyard whose band members later appeared on stage in clothing that they would seemingly wear on any day. 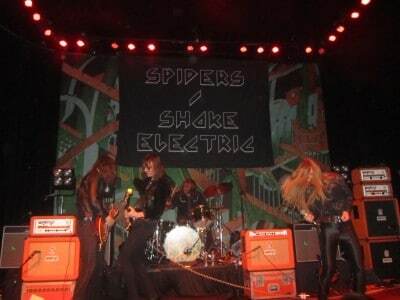 I’m not sure what I was expecting but the Spiders sounded really good on stage. 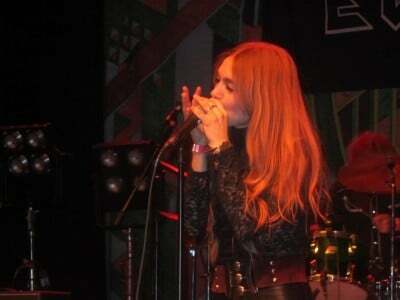 The sound seemed crystal clear and the heavy guitar riffs from John Hoyles coupled with the thunderous rhythm section of Griphammar and Harryson mixed with the mild Swedish laced English from singer Ann-Sofie Hoyles made for an impressive musical display. Although I recognized all of the songs that were played that I heard except one, coming up with the song titles is somewhat challenging in that I always just press play when listening to the Spiders’ stellar and last full length album Shake Electric without looking at the song titles. I was disappointed that I did not hear “Mad Dog” but suspect that this might have been the opening song that night. Song titles that I can come up with are the ones that Ann-Sofie Hoyles mentioned including “Give Up The Fight” and “Hard Times” as well as her favorite Spiders song and the title track to the group’s recently released EP Why Don’t You. As it would turn out, the one song that I didn’t know — which is apparently called “Hang Man” — was caught on video and posted on YouTube. 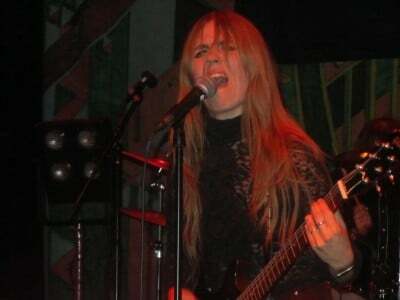 Although her presumably brother John and bassist Griphammar were clearly way taller than her, frontwoman Ann-Sofie Hoyles had many eyes upon her as she seemed to lose herself in the music a number of times and she had good stage presence. From moving or head banging, to the point that I could not see her face due to her hair flying in her face, to diving on her knees in front of the drum kit, Ann-Sofie Hoyles made the most of the Spiders‘ relatively short set since the band was done by 8:30 pm. Afterwards, The Meister and I made our way to the Spiders‘ merchandise booth where we spoke briefly to John Hoyles and Griphammar before the latter politely told us that he had to go since Graveyard were about to start. Clearly, the Spiders are very big Graveyard fans. 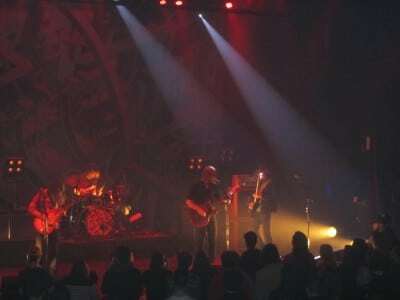 Not being really familiar with Graveyard nor into psychedelic rock type songs, The Meister and I only stayed for the first few songs that the heavy blues/psychedelic rock group played. I enjoyed their faster paced songs more than the slower paced ones. The audience numbers seemed to have tripled or quadrupled by the time that Graveyard were playing and although the venue still could easily fit more people, I was impressed with how many attended to see two groups coming all the way from Sweden and in the case of the Spiders, a group that was in North America for the first time. I am definitely hoping that the Spiders will come back to North America again because they put on a fantastic show!